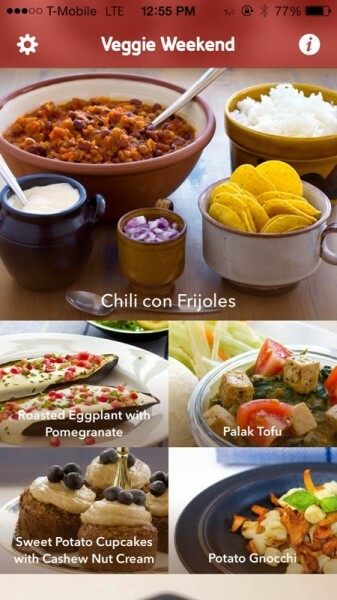 Veggie Weekend: healthy vegan & vegetarian recipes (Free) by Filibaba is a gorgeous recipe app that has been rebuilt specifically for iOS 7. If you are vegetarian or vegan, then you will definitely want to check out this beauty. While I’m not vegetarian or vegan myself, I definitely don’t mind healthier eating habits, and I have actually enjoyed the vegan food I’ve eaten before, so I’m open to the idea. However, if there’s one thing I’ll always have a taste for, it’s gorgeous design, and this app (and the others offered from the developer) definitely have that. 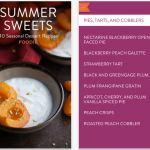 Once I opened the app, I was greeted with a gorgeous interface that focuses on beautiful food photography. Seriously, the moment you open Veggie Weekend, you’ll probably end up hungry. The red header bar at the top features the transparent effect that iOS 7 is known for, and it’s a delight to see the food images peeking through behind it as you scroll. 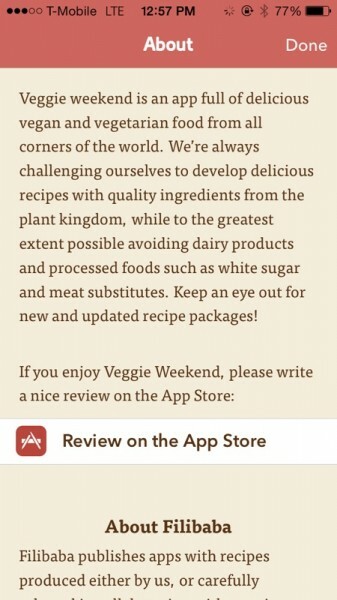 The stunning design of Veggie Weekend isn’t limited to the main view either, as it carries over to the actual recipe views themselves. This app is just visual treat to the user. With the initial free download of Veggie Weekend, users will have access to 18 vegetarian/vegan recipes that will be great for weekend parties and family dinners. 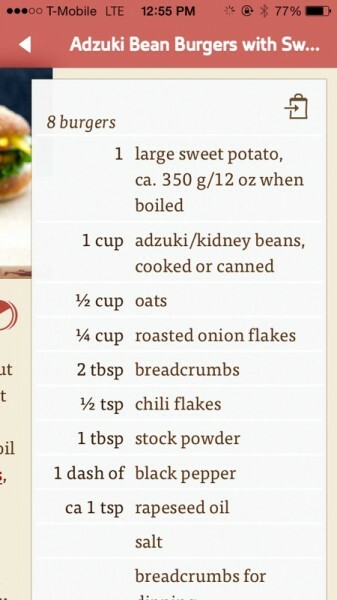 You can see the name for each recipe at the bottom of the listed photo. At the top, you’ll notice three categories with badge counts on them. 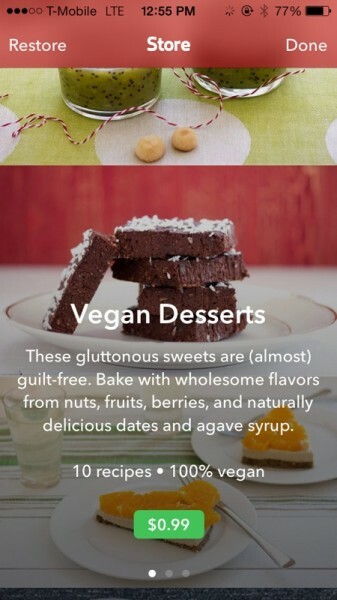 These are additional recipe packs that you can purchase for $0.99 a pop, and they include: Vegan Desserts, Inspired by Asia, and Breakfast Treats. I wish that the app had a bundle deal for these, which would give users more incentive to purchase all of them instead of one at a time. When you want to view a recipe, simply tap on it. 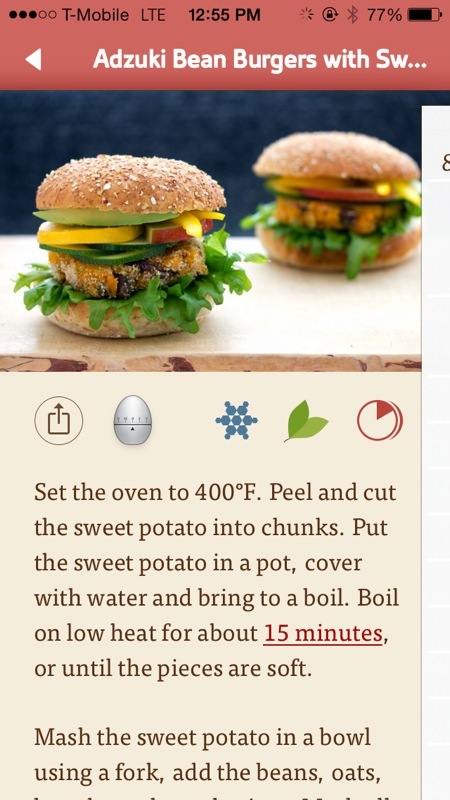 The recipe detail view will spotlight the food with a larger thumbnail at the top, and then you can either share the recipe or access the built-in egg timer. 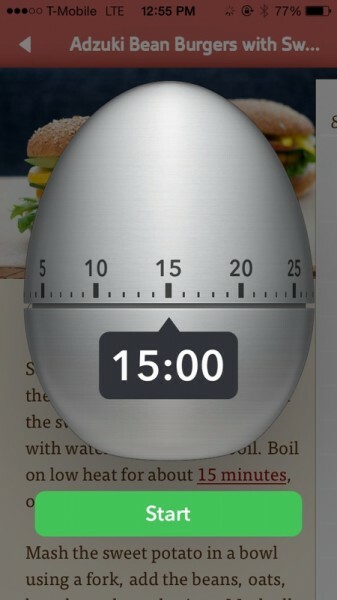 For the timer, just tap on any cooking time in a recipe to start it. 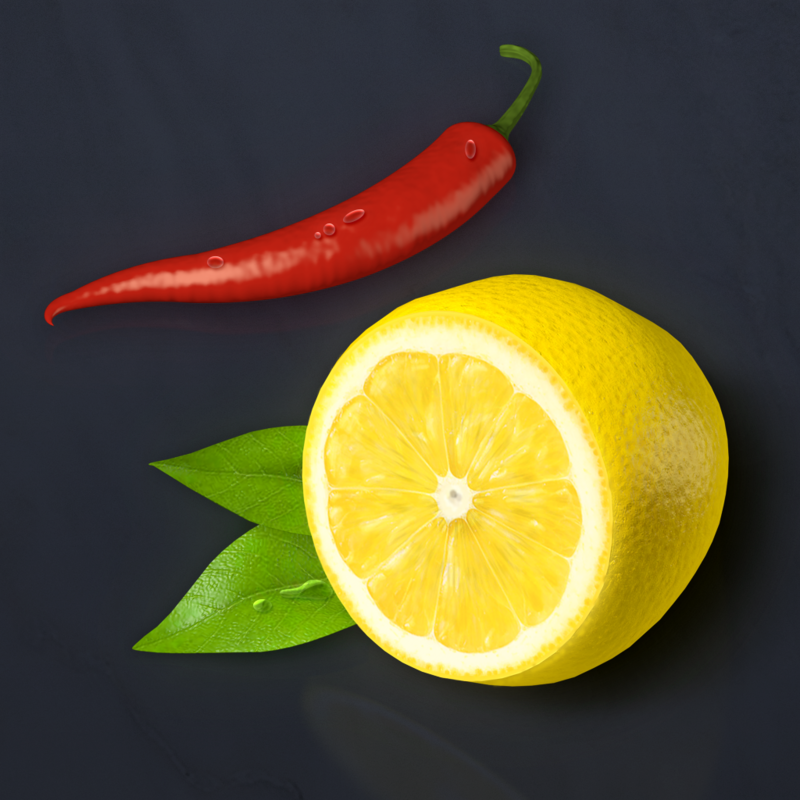 There are also three informative icons to let you know more about a recipe: Freezable (in case you want to freeze and thaw it to take as a box lunch the next day), Vegan (completely plant-based), and cook time. Underneath this row of icons will be the actual directions for the recipe, along with some additional info about it at the very bottom. You may be wondering, “what about the ingredients?” Don’t worry, that’s not forgotten. 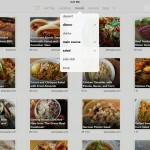 With a simple swipe to the left, you can view the ingredient list for the recipe. 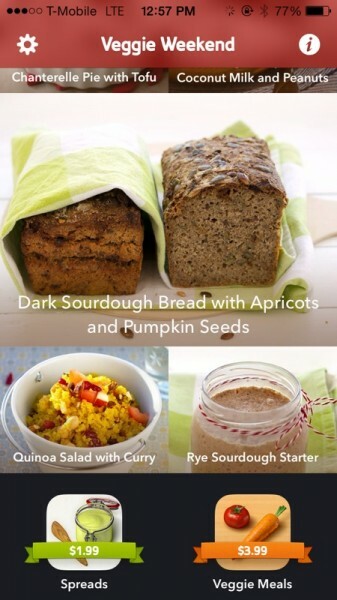 It even offers suggestions for condiments, sauces, and additional things you can add to certain foods, like the Rye Sourdough Starter recipe. Now that you found what you want to cook tonight, you may want to make a shopping list of the ingredients. 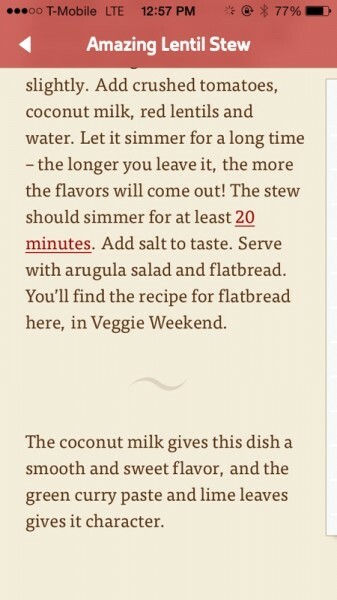 Veggie Weekend even thought of this, and gives you a quick shortcut to add every single item on the ingredient list into Reminders or Buy Me A Pie! as a new list, separate from your other to-dos. Having this shortcut is quite nice, and really helps save time. 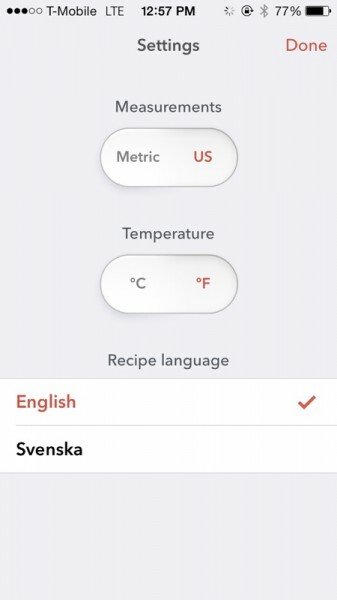 If you access the app settings, you can change the measurements (Metric or US) and temperature to Celsius or Fahrenheit. The recipes themselves can be in either English or Swedish. 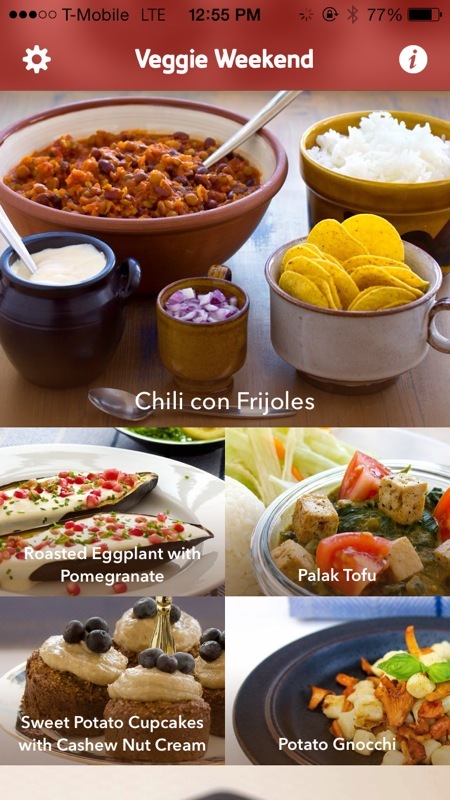 Despite me not being vegetarian, I’m really enjoying this app so far and can definitely see myself giving some of the recipes a try just for kicks. 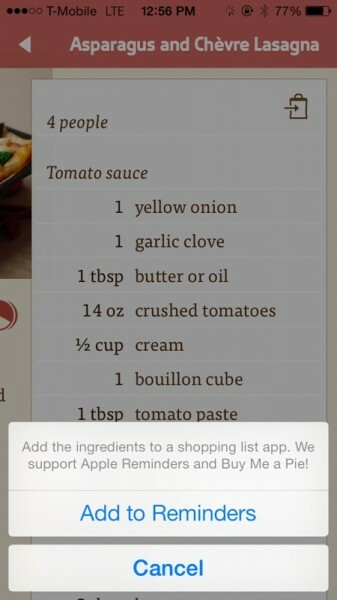 I really wish that the app would also allow you to import your own recipes as well, but I suppose that’s best for other apps like Basil and Paprika. 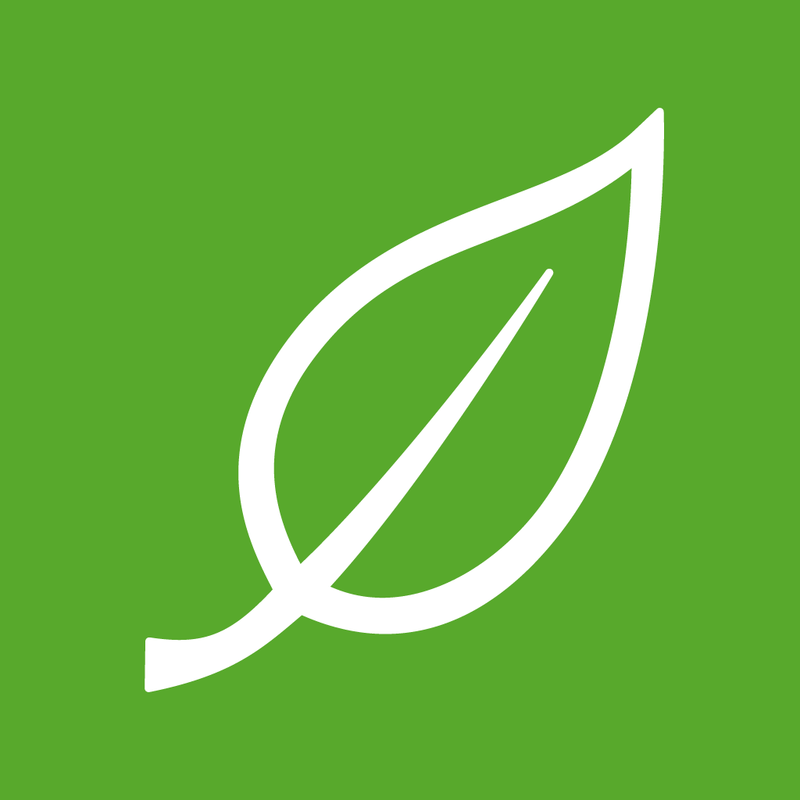 If you love great design, or are vegetarian or vegan and want some new recipes, I recommend checking out Veggie Weekend out. It’s available for free in the App Store as a universal download. 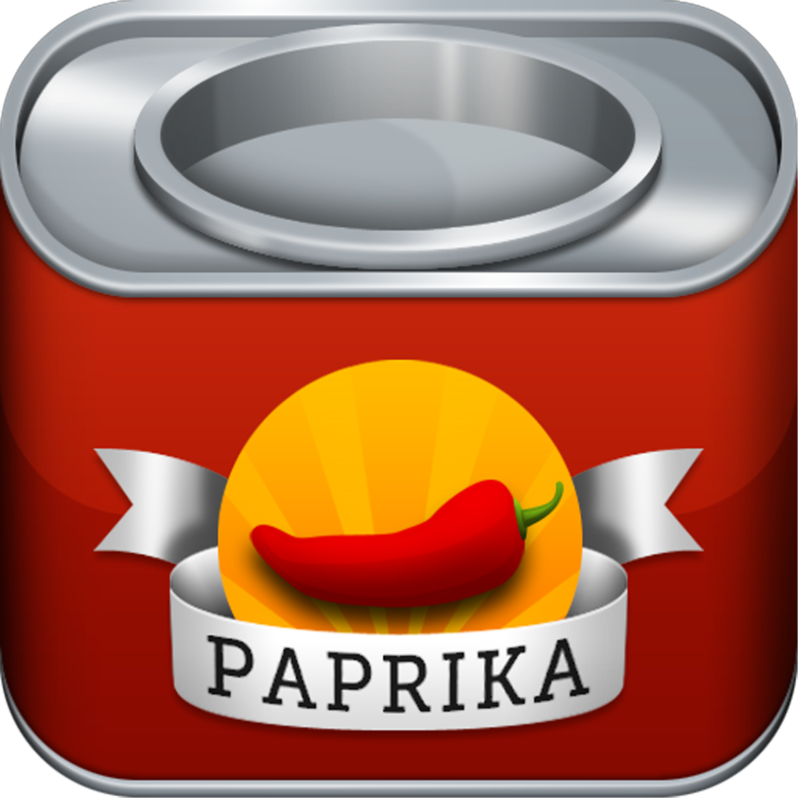 Paprika Recipe Manager for iPhone - Get your recipes organized!